Tehran threatens to withdraw from Frankfurt book fair due to outstanding death order against Rushdie. Iran has threatened to boycott next week's Frankfurt Book Fair because organizers have invited the author Salman Rushdie, who still has a fatwa against him, as a guest speaker, AFP reports. Rushdie, a British citizen who now lives in the United States, was made subject of the fatwa - a religious edict that called for his murder - in 1988, when his fourth novel, The Satanic Verses, was published. The fatwa forced the writer into hiding and led the British government to place Rushdie under police protection. In recent years he has attended many public events, though sometimes has cancelled appearances at short notice. 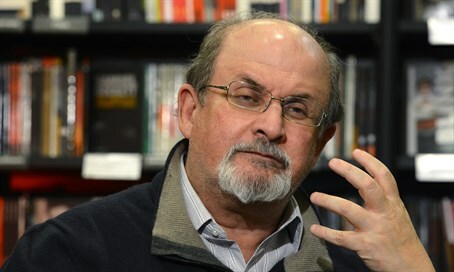 "When we learned of the presence of Salman Rushdie at the book fair in Frankfurt, we sent a letter of protest and called on other Muslim countries to do the same," Salehi was quoted as saying. "In the coming days, we will try to convince the leaders of the fair to change their mind. We will seriously consider not participating," he said of the October 14-18 event in Germany.